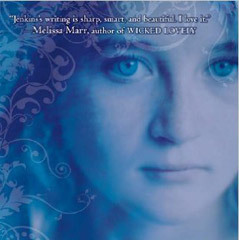 A.M. (Amanda) Jenkins is the author of six YA novels, including the Printz Honor Book Repossessed and the Los Angeles Times Book Prize finalist Damage. Other honors include a PEN/Phyllis Naylor Working Writer Fellowship, the Delacorte Press Prize for a First Young Adult Novel, the California Young Reader Medal, YALSA Best Books for Young Adults, and YALSA Quick Picks for Reluctant Young Adult Readers. Jenkins also writes in the K-8 range in various genres for educational publishers, and teaches part time in the Writing for Children and Young Adults program at Vermont College of Fine Arts.